A strawberry plant that is ornamental and useful. 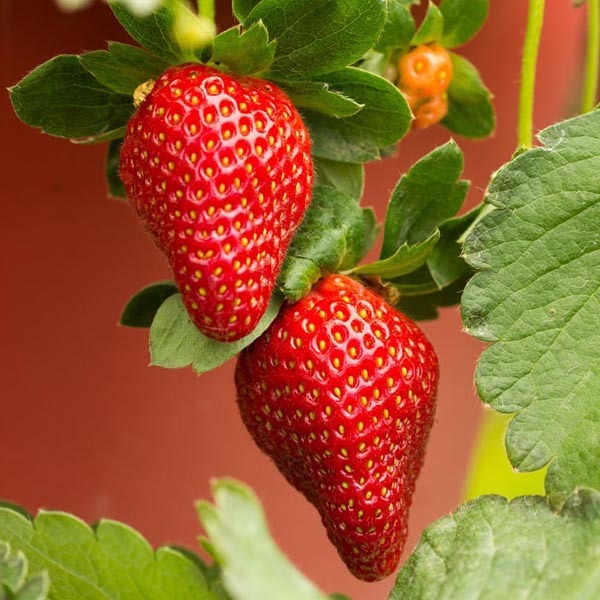 Plants produce charming pink flowers followed by large, sweet berries. ‘Merlan’ is very compact with very few runners making it a great selection for containers or small space gardens. Produces fruit all summer long. Allow berries to mature before picking for maximum flavor and sweetness. An delicious source of vitamin C! Delicious in pies, tarts, jams, and preserves. Serve as a scrumptious dessert or appetizing breakfast. The perfect addition to any fresh fruit tray. Wash fruits, vegetables and herbs thoroughly before eating. Plant so that crown is just above soil level. Space 18" (45cm) apart, keep the soil evenly moist, and mulch in winter. Amend the soil annually with organic matter.